California Loan Modification Trial Period Plan (TPP) under HAMP – Requirement That Lender Return Signed Modification Is a Flim-Flam, says 9th Circuit. California residential borrowers, in trouble on their mortgage, know the lengthy frustrating process for seeking a loan modification. Some have told me that they believe it is a con game, where they get the borrower to make more payments under a trial program, with no intent to modify the loan -get some more cash, then foreclose. I recently wrote about the West v Wells Fargo decision where a California Court found that, due to promissory estoppel, Wells Fargo could not tell the homeowner that they would get a modification if they followed the rules, but then not offering the modification after the borrow did everything required. Recently, in Corvello v. Wells Fargo Bank the Court of Appeals for the Ninth Circuit, governing all federal courts in California, addressed the issue. Where the loan modification was conditional on Wells Fargo returning a signed copy of the agreement, and the borrower did everything required, the Ninth Circuit held that the lender was obligated to offer the modification – otherwise, injustice would result. In Corvello v. Wells Fargo Bank, the court framed the issue: whether the bank was contractually required to offer the plaintiff a permanent loan modification after they complied with the requirements of a trial period plan (“TPP”). The answer was yes. The court first reviewed the federal programs resulting from TARP to assist homeowners. It noted that Wells Fargo, and others, signed “Servicer Participation Agreements” with the U.S. Treasury. 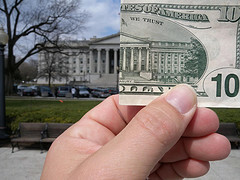 It entitled the lenders to incentive payments for loan modifications, and requires them to follow Treasury guidelines. 2) If eligible, the servicer prepares a TPP. This requires the borrower to Submit further financial documentation and make trial payments. The servicer must use the information to confirm the borrowers meet the criteria. 3) The servicer must report to the borrower the result- if they are not eligible, the borrower must be notified, and alternatives considered. If they are eligible and made all payments, the servicer must offer a permanent loan modification. The Ninth Circuit found Wells Fargo’s interpretation of the TPP unsatisfactory because it allowed banks to avoid their obligations to borrowers by choosing not to send a signed modification agreement, even though the buyers provided accurate financial information and made all the trial payments. For any reason whatsoever, Wells Fargo could “turn an otherwise straightforward offer into an illusion.” If the borrower complied with all the requirements and made the payments, the bank had an obligation to offer the borrower a permanent loan modification. This result avoids the injustice that would result if the bank were allowed to keep all the trial payments without fulfilling its own obligations. 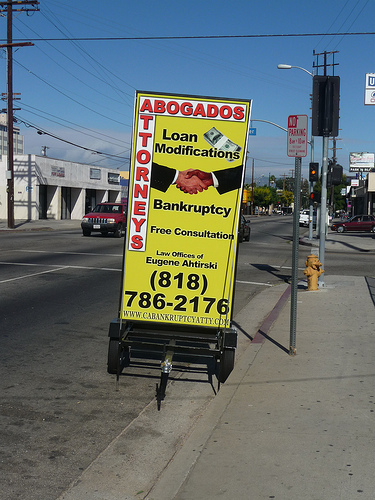 The Ninth Circuit did not resolve an issue that will likely be raised by lenders. The borrowers have a pre-existing duty to make monthly payments. To modify these agreements, or to replace them with a new one, there needs to be consideration – something flowing from the borrower to the benefit of the bank. Important here are the “Servicer Participation Agreements” the lenders sign with the U.S. Treasury. The homeowner-borrowers are clearing intended third party beneficiaries of these agreements, and may have the ability to enforce them. Perhaps the argument would be that the incentives provided by the US Treasury are consideration for the loan modification.